This stylish dog tag will draw just the right amount of attention to your cause! With its generous imprint space, this tag is a perfect item to spread your promotional message. Schools, charity events and military branch functions are great venues to distribute this wonderful promo. 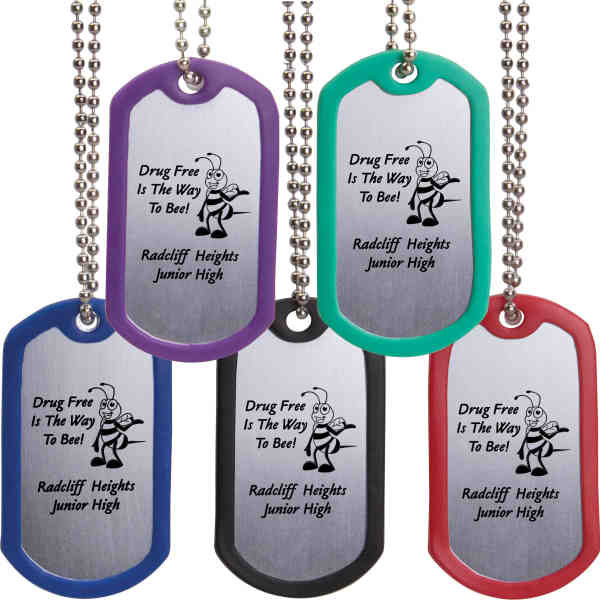 Choose from an assortment of colors to surround the dog tag and complete the product with a pad printed logo or message - or both - for maximum exposure. Your brand will look sharp on this item! Size: 2 1/8 " x 1 3/16 " x 23 "